Ignore earnings at your peril this Tuesday. Some of the biggest companies in the world are reporting quarterly results and the reports are sure to move market sentiment. 1. Earnings: Corporate giants such as Ford (F), Comcast (CCV), Alibaba (BABA), Coach (COH), UPS (UPS), Pfizer (PFE) and T-Mobile (TMUS) are reporting before the trading day begins. BP (BP) reported results that came in ahead of expectations so its shares are rising in London by nearly 2%. After the closing bell, Apple (AAPL) will open its books alongside Twitter (TWTR). Last week a string of other big tech companies like Amazon (AMZN), Alphabet (GOOG) and Microsoft (MSFT) set the stage with glowing results. 2. Senate votes on cybersecurity bill: The U.S. Senate is deciding on Tuesday whether to approve the Cybersecurity Information Sharing Act (CISA). It's a measure designed to help American companies work more closely with law enforcement officials to fight off hackers. The idea behind CISA is to help U.S. companies react more quickly to attacks on their computer systems. But tech companies have opposed the bill, with many saying CISA could expand U.S. government spying on Americans. 3. Economics: Wall Street will get further insight into the health of the U.S. housing market Tuesday when the Case-Shiller housing index comes out at 9 a.m. ET. The Conference Board is posting its October consumer confidence index at 10 a.m. In September, the index showed Americans were feeling more confident because of lower gasoline prices and improvements in the labor market. In the U.K., new data shows the economy grew by 2.3% in the third quarter compared to the same period last year. While that growth looks solid, the number came in slightly below expectations, and was slightly weaker than the previous quarter. 4. Global markets overview: U.S. stock futures are looking soft and most European markets are dipping in early trading. While Chinese stock markets moved up a tad on Tuesday, all other major Asian markets ended the day with losses. The price of natural gas continues to drop, down another 3% to trade around $2 per million British thermal units. Prices have declined by nearly a third since the start of 2015, and losses have accelerated in the last few days. 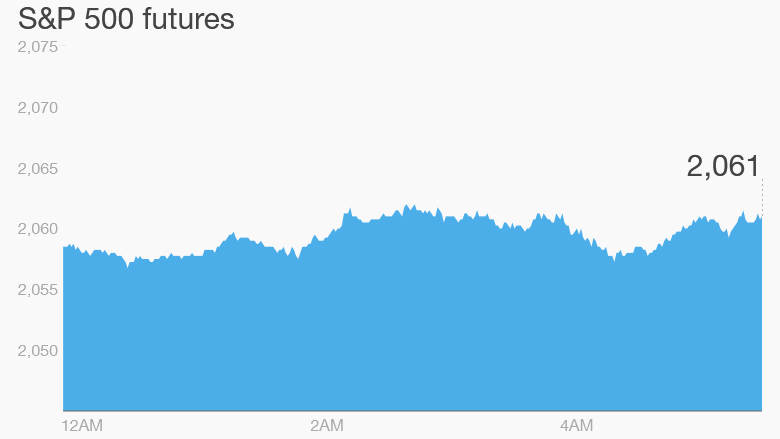 Oil prices are also falling by nearly 1% to below $44 a barrel. 5. Monday market recap: It was a relatively quiet Monday with low volatility. 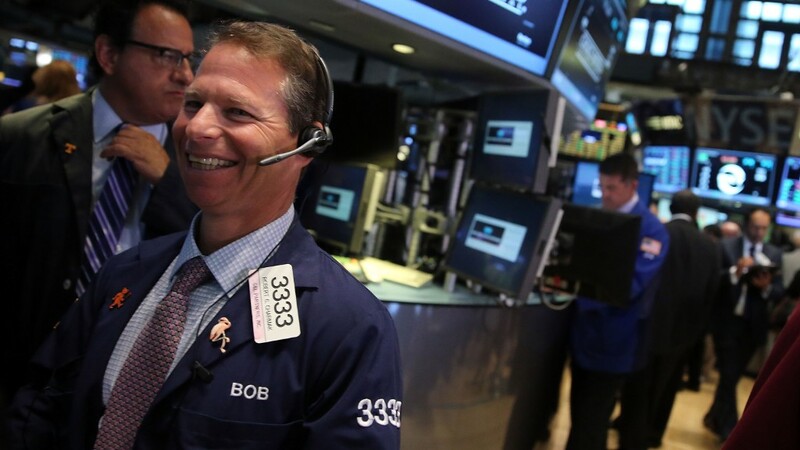 The Dow Jones industrial average slipped 0.1%, the S&P 500 lost 0.2% and the Nasdaq inched up 0.1%.